The Senior Jiu-Jitsu IBF England Syllabus starts at 6th Kyu and continues to Godan 5th Degree Black Belt. Any grade above 5th Dan is decided by the International Representatives committee of the International Budo Federation. * All Gradings conducted by a registered Coaching representative of the International Budo Federation. Grading Officer must hold grade two above the student grading( if grading Shodan 1st Degree Black Belt Examiner must be Sandan 3rd Degree Black Belt to Grade). 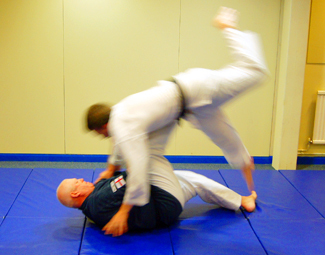 The Kano Jiu-Jitsu system incorporates both traditional and modern techniques, making this style suitable for all regardless of age, skill or health. Beginners can develop the new skills at a steady pace and adapt as necessary for their own use. Martial Artists from different styles of Karate, Aikido, Judo and the grappling arts can all find similarities from their own experiences within the "Kano" style of Jiu-Jitsu. 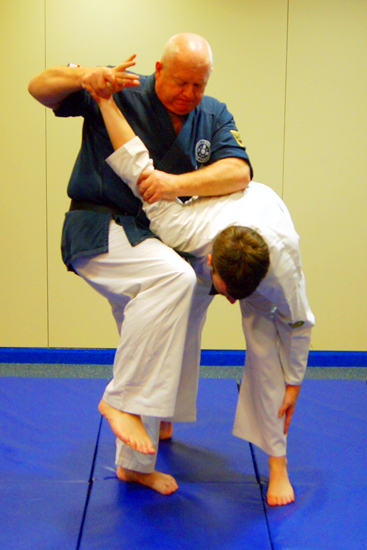 Sensei Tom Starling Jnr 7th Dan, has developed this syllabus from over 35 years experience as a Black Belt. His extensive training in both this country and abroad with different high ranking masters and indeed his father Prof T.W. Starling 8th Dan has enabled him to develop a complete Syllabus, now in use throughout the International Budo Federation in the UK and on the Continent. This unique syllabus gives the Jiu-Jitsuka both traditional and modernised forms combined to create the ultimate Self Defence System.